In today’s hyper-connected world, the ability to embrace new innovations are closely tied to IT Network capabilities. Leading organization are looking to build next generation secured networks to embrace trends such as bring-your-own-device (BYOD), Smart Campus, and smart buildings. Embee helps organization of all sizes build networks of the future or optimize their existing networks. Is your connected campus future proof? Secure, high bandwidth, distributed networks that provide access to network communication services and resources to end users are the requirements of most campuses today. The design and build stage requires you to consider the future vision as well – build today with tomorrow in mind. By leveraging industry leading OEMs like Cisco, HPE Aruba, Brocade, Extreme Network, Embee designs and builds high-speed, secured, scalable and manageable Campus LANs for its customers. Embee’s unified network infrastructure solution guaranteed 24/7 Wi-Fi and IP telephony to one of India’s leading educational institutes, with the potential for future scaling. India’s Foremost Educational Institute Invests in Expansion of Its Network Infrastructure Solution to Enable Seamless Connectivity for Students. Are you restricted to physical networks for connectivity? Collaborative working has become the norm and ubiquitous Wi-Fi coverage has become a necessity these days. Customized Wi-Fi solutions can create true efficiencies. Embee designs and builds Wi-Fi solutions that range from covering an entire university campus to providing wireless connectivity to small-office-home-office. 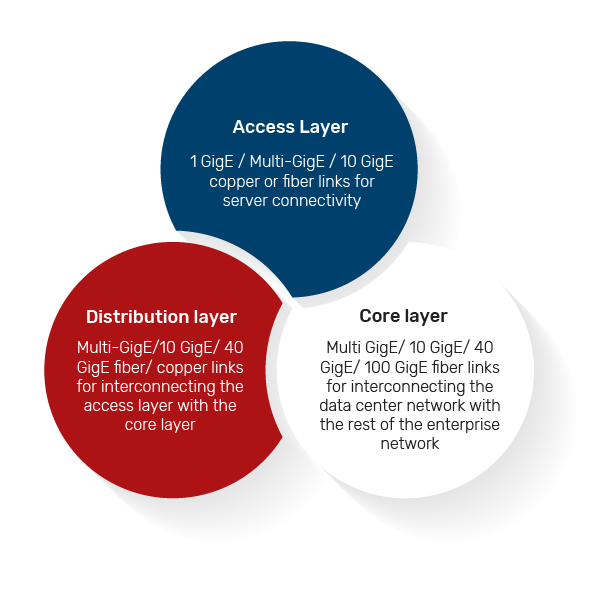 We provide latest IEEE 802.11ac Wave2 Access Points that can deliver multi-gigabit bandwidth. Through partnerships with Aruba, Cambium, Cisco, Ruckus and others, Embee delivers world class Wi-Fi solutions for our customers.  Does your network support your distributed business? Organizations today are spread across multiple locations. Secure and reliable connectivity to all locations is critical for successful operation of the business. 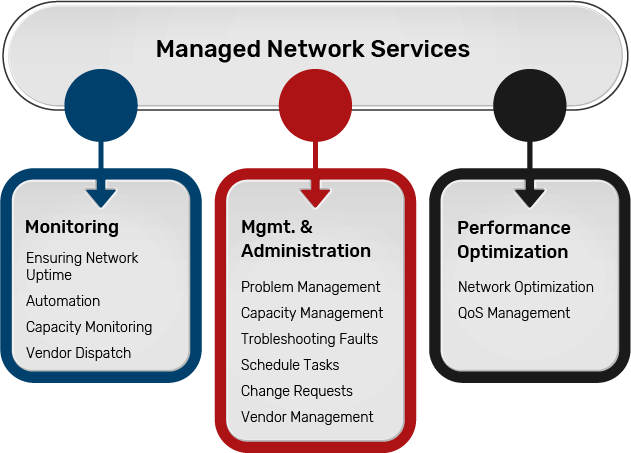 Embee can help organizations to establish connectivity with branch offices, business partners and customers using MPLS, Leased Line, or transport independent Software-defined WAN (SD-WAN) – a new approach to network connectivity that lowers operational costs and improves resource usage for multi-site deployments. Our solutions also perfectly integrate unified communication through voice, data and video allowing your workforce to collaborate seamlessly. Is your data center network fast, reliable and secure? Simplicity in design is incredibly hard to achieve. Organizations today need network architectures that are open, scalable, and integrated into their resource, storage and cloud platforms. Embee provides data center design and integration solutions including data center built, smart rack based solutions, networking and security. By partnering with the best OEMs like Cisco, HPE, Brocade and Juniper, we can create a unique solution that fits your needs perfectly. Both for today, and tomorrow. Are you looking for a partner to design, build and manage your network? Maintaining a network can be complex. Especially when it comes to ensuring both performance and security.  Embee works with its clients to manage their networks and ensure that it continues to provide critical business services to both employees and customers. Our range of services include creating built-in security controls as well as full visibility for administrators, structured cabling from cables to patch cords to racks, and managed network services, include on-site deployment. IS MANAGING A MYRIAD OF CABLES A CHALLENGE? In a world that is driven by a rapid pace of technological change, it is now more important than ever to get the basics right when it comes to IT. Your infrastructure needs to truly support you and be manageable. 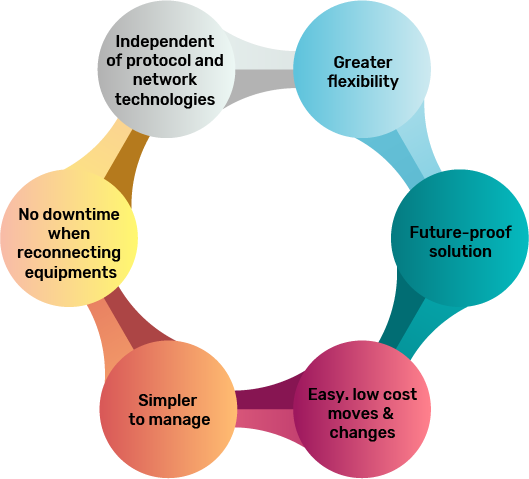 Embee provides structured cabling services for our customers. We deliver services and infrastructure such as fiber cabling, fiber patch cords, UTP structured cabling, UTP patch cords, provision of communication racks and accessories for the rack. 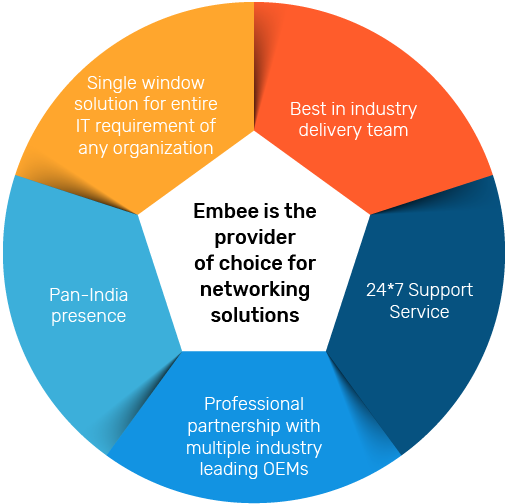 Through partnering with leading OEMs like Belden, Comscope, Molex, Schneider, D-Link we are able to provide the best of solutions to a wide range of customers. On behalf of your organization ‘Atlas healthcare Software India Pvt Ltd.’ I would like to say a Big Thank you to Embee for their continuous support. Embee is not only a box seller to us but a True Solution and Service partner. And when it comes about Service and Support, you guys are really amazing. With the bunch of experienced service engineers for workstation to enterprise class datacentre equipment’s, EMbee support team is making the life our IT team easier. I really appreciate and thanks each and every one associated in the support and service team of Embee. Its almost 10 years of association with Embee and will hope to continue going the same for years and years. Embee is a Cisco Premier Certified Partner and HPE Gold Partner in India.